Buyers looking for a home in Henderson often need specific features in that home. Those features are not always available in a home that is on the market and that fits your budget. One common solution is purchasing a home and adding the features you need through renovations. Rehab and renovation projects allow a buyer to turn any home into the home of their dreams. The FHA 203k loan is designed to make these types of projects easier than ever. All American Home Mortgage, your local Henderson Mortgage lender, offers great rates and terms on FHA 203k loans throughout Nevada. The FHA 203k loan allows a borrower to combine the purchase of a home and the added costs of repairs or renovations into a single mortgage. The ability to combine the these costs into a single mortgage can make these projects less intimidating. Little money is required up front with low down payment options and buyers save on closing costs when only one loan is needed. Just like the standard FHA loan, the FHA 203k loan makes it possible for borrowers to qualify with low down payments and below average credit. FHA Standard 203k – The standard FHA 203k loan is designed for complex renovations that involve structural work, extensive remodeling, or any construction that would prevent the buyer from occupying the home during that time. At least $5,000 in renovation costs are needed for the standard 203k. FHA Streamlined 203k – For projects that do not exceed $35,000 in total repair costs, the Streamlined FHA 203k is available. The Streamlined 203k is used for smaller updates or additions such as adding new appliances, new roofing, and other non-structural repairs. FHA 203k loans are often favored over similar given their ease of qualification. Borrowers are often able to qualify with a credit score of 580 and a down payment of only 3.5 percent. Just like the standard FHA loan, family members are even able to offer the down payment as a gift. Credit Score – Minimum of 580. Lower scores may be accepted in certain cases but higher down payments may be needed. Income Requirements – A debt-to-income ratio of 43 percent or less is required. Up to 50 percent may be approved in certain circumstances. Down Payment – Minimum of 3.5 percent of the purchase price if credit requirements are met. Up-front Mortgage Insurance Premium (MIP) of 1.75% of the purchase price. Recurring MIP based on factors such as loan amount, LTV ratio, length of the mortgage. 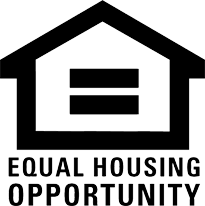 FHA loan amounts are limited based on the county where the home being purchased is located. In the case of the FHA 203k loan, this is the combination of the home price and estimated repairs. If you are like many buyers searching for a home in Henderson, you may be struggling to find everything you need in a home. As your preferred local Henderson mortgage company, All American Home Mortgage can help you turn any home into your dream home with an FHA 203k loan. Contact us today for more information on Henderson FHA 203k loans or to begin the pre-qualification process!